MOSCOW, November 16. /TASS/. The Project 09552 (Borei-A-class) nuclear-powered submarine Prince Vladimir will be floated out at the Sevmash Shipyard in Severodvinsk in north Russia on November 17, 2017. Borei-class (Project 09550, 09551 and 09552) submarines are a series of Russian strategic missile-carrying underwater cruisers. The fourth-generation nuclear subs have been developed by the Rubin Central Design Bureau for Marine Engineering (St. Petersburg) under the direction of Chief Designer Vladimir Zdornov. They are designed to replace the previous series of submarines - the Project 941 Akula-class subs (operational in the Navy since 1981) and the Project 667BDRM Delfin underwater cruisers (operational since 1984). Borei-class submarines are under construction at the Sevmash Shipyard in Russia’s northern Arkhangelsk Region. The Borei is a double-hull submarine: the crew, the reactor, the turbines, the missile silos and other major systems and mechanisms are housed in the inner hull capable of withstanding high water pressure; the external hull forms the sub’s streamlined shape. According to data from open sources, the Project 955 submarine measures 170m long and 13.5m wide and a draft of 10m. The sub displaces 14,720 tonnes in its surface position and 24,000 tonnes in its submerged position. The Borei has a depth capability of 400 meters and can develop a surface speed of 15 knots (27.78 km/h) and a submerged speed of up to 29 knots (53.7 km/h). It has a sea endurance of 90 days and a crew of 107. The submarine is furnished with a single-shaft steam-turbine nuclear power plant with a capacity of about 50,000 horsepower developed by the Afrikantov Experimental Design Bureau for Mechanical Engineering (Nizhny Novgorod). The submarine’s OK-650V water-cooled and water-moderated reactor has a thermal capacity of 190 MW. The submarine is armed with the D-30 missile system (16 launchers of Bulava intercontinental ballistic missiles) and 533mm torpedo tubes. Under the initial Project 09550, the Borei subs should have been armed with R-39UTTKh Bark missiles developed by the Makeyev State Rocket Center (Miass, the Chelyabinsk Region). However, the work on this armament system was terminated after a series of failed tests and the submarine’s design was modified for the Bulava missile developed by the Moscow Institute of Thermal Technology. No less than eight strategic nuclear-powered submarines of this type will be built. Three such submarines have been delivered to the Navy by now. The K-535 Yuri Dolgoruky (Factory No. 201) was laid down on November 2, 1996 under Project 09550. 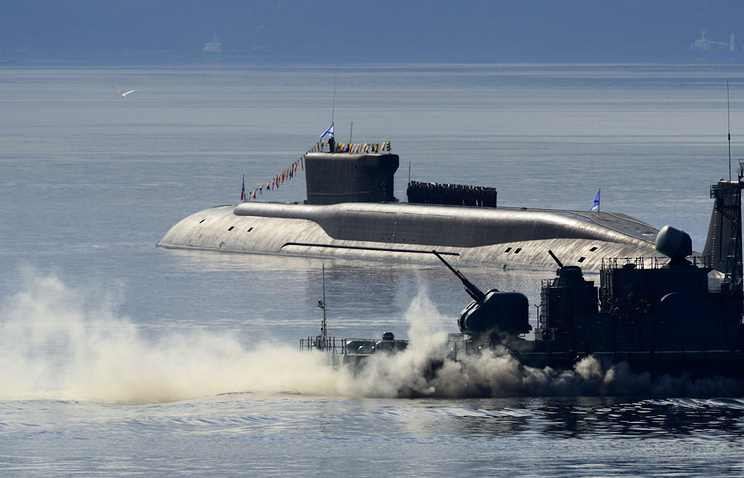 The construction of the sub’s pressure hull was completed only ten years after that due to the shortage of funds and the need to reequip it for Bulava missiles (Project 09551). The submarine was floated out on February 13, 2008 and delivered to the Russian Navy on January 10, 2013. The K-550 Alexander Nevsky (Factory No. 202, Project 09551) was laid down on March 19, 2004 and floated out on December 6, 2010. The submarine was delivered to the Navy on December 23, 2013. 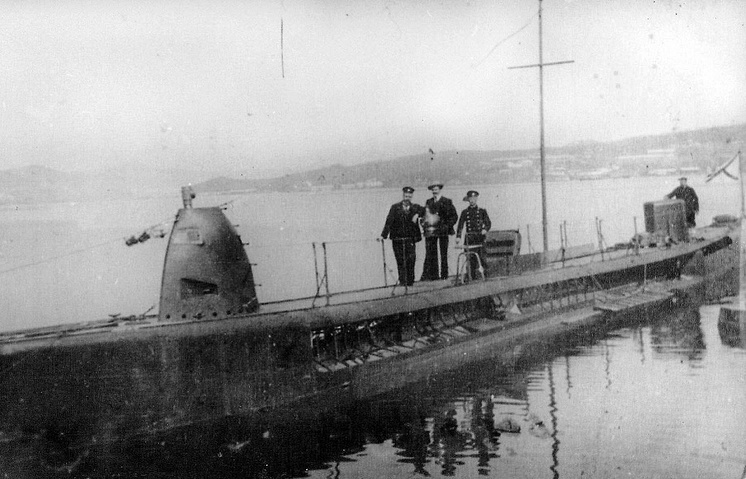 The K-551 Vladimir Monomakh (Factory No. 203, Project 09551) was laid down on March 19, 2006, floated out on January 18, 2013 and delivered to the Navy on December 10, 2014. The subsequent strategic underwater missile cruisers are being built under Project 09552 (Borei-A). They are distinguished by their better stealth capability, more advanced electronic equipment and more comfortable conditions for the crew. 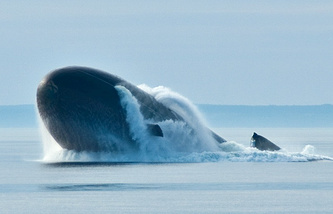 Russia’s Defense Ministry signed two contracts on their construction (the first contract for one submarine and the second contract for four underwater missile cruisers) with the United Shipbuilding Corporation on May 25, 2012. The Prince Vladimir (Factory No. 204, Project 09552) was laid down on July 30, 2012. The Prince Oleg (Factory No. 205, Project 09552) was laid down on July 27, 2014. The Generalissimus Suvorov (Factory No. 206, Project 09552) was laid down on December 26, 2014. The Emperor Alexander III (Factory No. 207, Project 09552) was laid down on December 18, 2015. The Prince Pozharsky (Factory No. 208, Project 09552) was laid down on December 23, 2016. Chief of Russia’s General Staff Valery Gerasimov said at a board meeting of the Russian Defense Ministry on November 7, 2017 that work had been launched to develop a Borei-B class nuclear-powered submarine with improved characteristics.